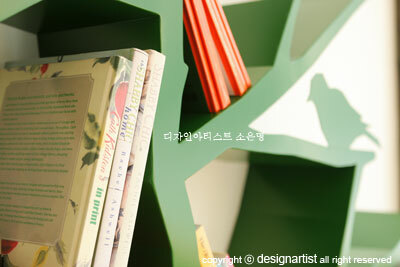 The design direction is clearly portrayed in the title ‘A tree becomes a book becomes a tree’; the design aims to create not only a marketable and functional product, but also an artistic work. Each product comes with a poem describing the background and concept of the design. Every work is produced exclusively in the designers own studio. 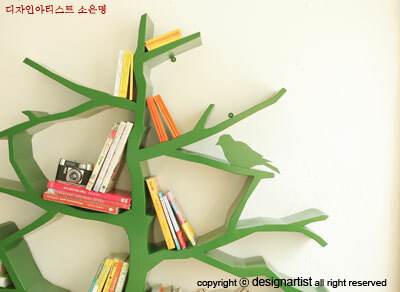 The Tree bookshelf takes two weeks to produce; every single process (welding and bending etc) is done by hand. Shawn takes pride in the fact that each product is handmade.